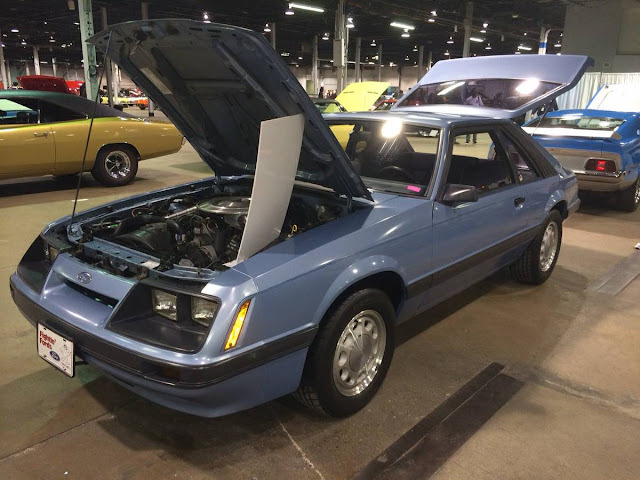 I might be getting old, but the Fox body 5.0 Mustang is starting too look like a collectible to my eyes -- probably because the early examples are pushing 40 years old and my vision is getting fuzzy. It REALLY doesn't seem that long ago that a '93 Cobra was a new ride...but I digress. Find this 1985 Ford Mustang LX 5.0 offered for $11,500 near Chicago, IL via craigslist. Tip from Rock On! This is an early Fox body which means it has the 5.0 liter V8 fed with a carburetor to produce 210 horsepower and 270 ft-lbs of torque. The track rat in me would rather have the Koni adjustable shock and turbo 4-banger equipped SVO version, but the 5.0 V8 version will probably get the job done and sound better when uncorked anyway. To my ears, the Fox says "Come to Papa!". Yeah, I like these things too. Honest, simple, FE-RWD, super-easy to work on, and easily tweaked to suit whatever you want. I still fantasize about bolting the Mustang GT mechanicals into a Fairmont wagon body, and then never needing another car as long as I live. Normally where I would say "oh no, way too much for that" I am saying hells yes! This is a very nice and clean unmolested example. Love this body style! If it were an '86 it would be so much more worth it due to the improved/updated engine, yet it looked identical to the '85. The '86 was the only year you had this exact body, but with the updated 5.0 engine used in the forthcoming '87 and '88 models that got the facelift. Meaningless Factoid: '86 also had flat top pistons and that was changed in '87+ models. With the release of Ford's GT-40 engine kit parts for the 5.0, there was a worry that any '86 owners who might install Ford Motorsport's E303 cam with the updated 1.72 roller rockers would not have valve clearance. 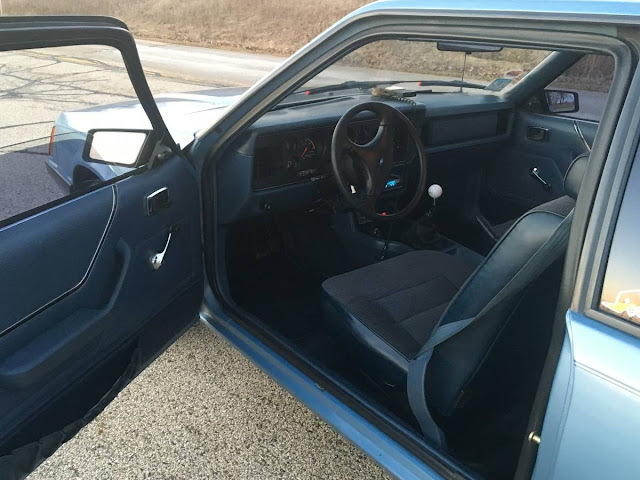 There actually was enough clearance and performance numbers for the '86 was actually slightly better than the '87+ models. Personally, I like the "last of the carbs" 1985 better and wouldn't be afraid to drive it some.